To understand the process of disk herniation, it is important to understand what a herniated disc is. A herniated disc is a spinal disc found between the bony vertebrae. It acts as a shock absorber absorbing stresses by displacing water and then reabsorbing it. Disk herniation is the displacement of the intervertebral disc material beyond the confines of the disc. It results when the outer layer of the disc degenerates and tears, allowing the inner portion to squeeze out. What is the Cause of Disc Herniation? The discs act as cushion for the spinal cushion and allows some space between your vertebrae. This allows you to bend and reach things quite easily. With herniated disks, the disk may move out of place or rupture due to injury or strain. Once this happens, there may be some pressure on the spinal nerves which can lead to pain, numbness or weakness. This is referred to as lumbar disc herniation, slipped disc, prolapsed disc, cervical disc herniation, disc herniation and many more. Slipped disc is common in middle-aged and older men, mostly after a strenuous activity. Herniated discs may not be painful at all but when the herniated disc irritates some nerve endings it may result in significant back pain. Once the disk presses on the adjacent root of the nerve, it causes significant pain down the specific area including legs, hip, buttocks or arm. 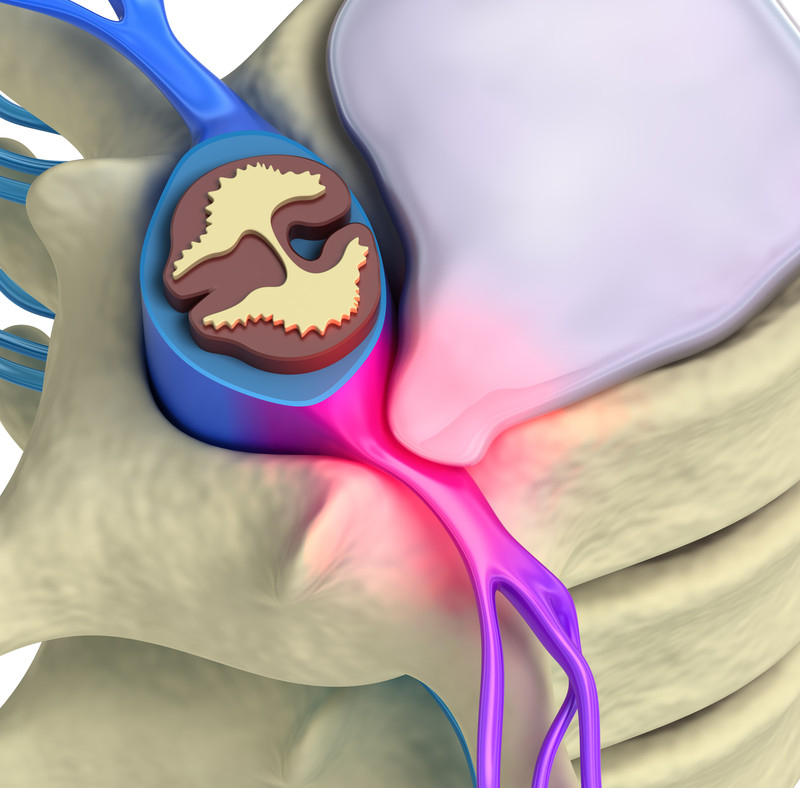 In some cases, disc herniation may cause compression of the nerve root. This may result in an intense inflammation reaction. Such a case may result to sciatica on the person’s leg. The symptoms feel like a numbness or a burning sensation. The patient may also experience weakness at times depending on which nerve have been pinched. If the leg nerve leg foot is pinched, it causes some weakness while lifting the foot. If the neck nerve root is pinched, it may cause weakness in areas such as the biceps. 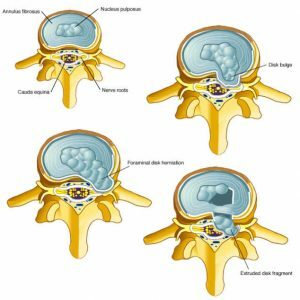 What are the Tests for Herniated Disc? The first step is a physical examination by your Seattle pain management doctor accompanied by a history of the ailment. The symptoms will determine the areas of examination. The doctor may examine the neck, shoulders, hands, arms or lower back, hips legs and feet. The doctor may also ask you to sit, stand or walk. Also he/she may want you to bend forward, backward and sideways. This will help them identify any form of pain in specific areas. What is the Treatment for Herniated Disc? risks. The Seattle pain clinic doctor may also opt for short term narcotics and muscle relaxers which help with the pain. Physical therapy, as well as chiropractic treatment methods, are quite beneficial in relieving nerve compression and decreasing spasms. The treatment methods include electrical stimulation, ultrasound, spinal manipulations, stretching and strengthening and TENS drugs. 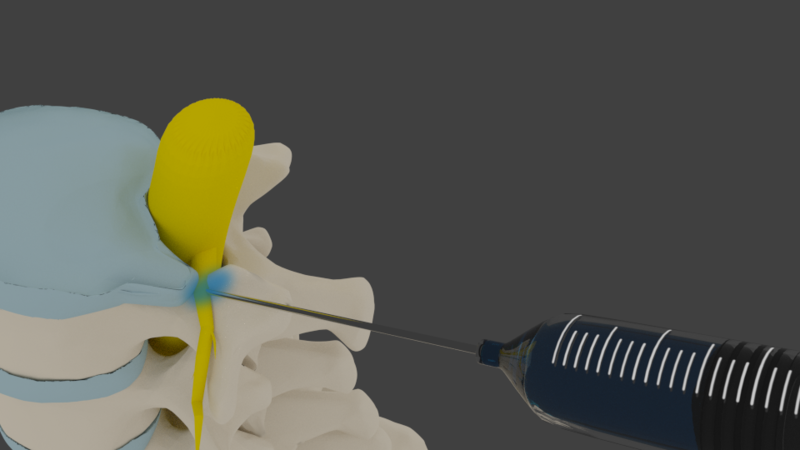 Well, the proven method for standard pain management as a result of herniated disc is epidural steroid injections. The injections will involve administering cortisone medication in the area around the pinched nerve so that it can soothe the area. In most cases, a series of three injections can be performed for over six weeks. Epidural injections may be repeated every month. All in all, over 95% of those with sciatica in Seattle and Tacoma are able to avoid the need for surgery at the top pain clinics. The pain doctors offer all of these treatments at Seattle Pain Relief, and thankfully pain relief is usually achieved. Most insurance is accepted, call (855) WASH-PAIN today!